With the Senate poised to vote on some sort of health care bill on Tuesday, starting with a simple motion to proceed that appears to be in trouble, Democratic Colorado Gov. 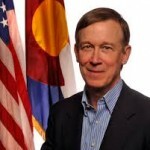 John Hickelooper urged his state’s two senators to keep the best interests of Colorado residents in mind when considering the contentious issue. Bennet, a Democrat, clearly is already in Hickenlooper’s camp regarding Republican efforts to repeal and replace the 2010 Affordable Care Act, also known as Obamacare. 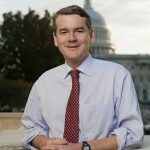 “New report finds CO to lose $9.2 bil in #Medicaid funding from 2020-2029 if #Trumpcare passes the Senate this week,” Bennet tweeted on Monday,” referring to a Kaiser Family Foundation report. But Senate Majority Leader Mitch McConnell may also simply bring a straight repeal bill to a vote without any replacement such as the Senate’s Better Care Reconciliation Act, also know as Trumpcare. Gardner has not said how he’ll vote on either proposals if the motion to proceed passes, although he favors replacement over repeal only. “I would prefer a solution that would be a replacement for the failing Affordable Care Act,” Gardner told the Denver Post last week. He would not tell the Post if he’ll vote for a straight repeal bill if that’s his only option. 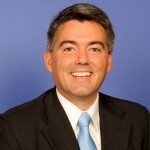 In 2015, Gardner did vote for straight repeal when former President Barack Obama was still in office and vetoed the bill. The nonpartisan Congressional Budget Office estimated 32 million Americans will lose health insurance in the next decade if the ACA is simply repealed without a replacement. The Senate BCRA would result in 22 million Americans losing insurance in the next 10 years, according to the CBO, and the American Health Care Act, passed by the House in May, would result in 23 million Americans losing coverage.